What are the most popular dropshipped items in Australia? Starting your own online store can be exciting and exhilarating. If you don’t have experience with a particular product line, you might want to look into which products are the most popular for selling online. For a number of reasons, certain merchandise is better for dropshipping in Australia. It might be due to availability, size or cost. The best eCommerce sites can reach more consumers with more products at a lower price. 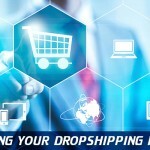 Australian dropshipping can serve under-served market niches. Your online store can benefit from the following characteristics: 1. Australia, 2. eCommerce or 3. Merchandise type. We will discuss how each can impact your business plan. By leveraging all three, you give yourself the highest chance for success. Due to being in the Asia Pacific region, Australia can benefit from the rise of manufacturing juggernauts, like China, Japan and South Korea. These Asian tigers provide cheap manufactured goods, you supply the markets. An estimated 85% of the Australian population has Internet access. An eMarketer survey for February 2017 discovered that 66% of Australians use a desktop PC for surfing the Web, while 23% use smart phones. You can list numerous cheap goods from Asia on your website. 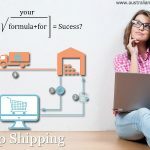 Dropshipping allows entrepreneurs to live their dreams for running a business with a very low budget. You don’t need to be a computer programmer, but your website can look great with all the product descriptions, shopping carts and payment systems, you need. You can fit into special niches not served by the global brands. How can you be profitable? The best eCommerce store can offer a great deal of variety. You can upload images for merchandise that you hope will sell. This gives you a key advantage over the brick and mortar retailers who must stock their shelves with numerous merchandise, which will never sell. Your online store is more efficient. 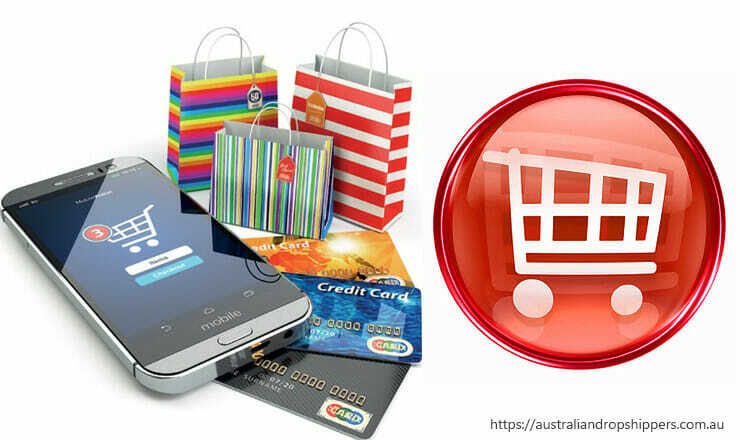 The aforementioned eMarketer firm estimates that Australia retail eCommerce sales were about $20 billion for 2017, representing about 7.3% of all retail sales. A Roy Morgan study found that 40% of Australians purchase something online each month. Online purchases are becoming more normal for a larger sector of the population. Basically, online-shopping is becoming main stream in Australia. 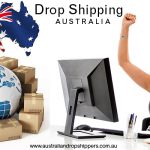 You can help Aussies shop faster and more efficiently by giving them another online outlet to obtain their goods via your drop-shipping store. 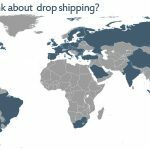 Know your drop-ship suppliers inventory, even if it is items that you are not stocking at this time in your own drop-shipping store. There are ways in modern eCommerce software to track your customers behaviours and what they are looking for. By identifying what your customers are looking for you will be able to quickly list those items. In a way this sort of stock customisation and scale-ability to meet the consumer demand is only possible with an online store. Products will differ by size, cost and market. Remember that shipping is a big part of your online store. Most customers want free shipping. Tip 1: Retail backgrounds are essential. The Digital Nomad believes that some dropshipping stores fail because the owner lacks a retail background. It helps you deal with numerous customer service problems without losing your cool. Tip 2: Solve problems using phone calls. The email message system is a great invention, but suffers from a few weaknesses. Many emails systems are so full of Spam that owners are not checking them regularly. Moreover, emails can be very impersonal. People say things, they probably shouldn’t in emails. Therefore, the Digital Nomad prefers direct phone calls. He believes that most modern customers won’t wait for 24 hours to get a call back from your customer service representatives, they will simply go to a different online vendor. You can get real problems resolved within 15 minutes using a phone call. Phone calls are more personal and effective. Tip 3: Sell expensive merchandise. The Digital Nomad suggests that you sell expensive items. He estimated that if you sell a few expensive items, then it might justify the time you will spend on personal customer service. Selling expensive items gives you more wiggle room. Your time is more valuable with big-ticket items. Anyone who knows the story of Amazon, knows that they started with books. No one needs to explain books, the content is key – kind of like a website. There are no complicated users manuals with books, so returns are at a minimum. Most books are rectangles that fit nicely in boxes, so shippers can use standardised packaging. United States shipping also has a “book rate” (or media mail), so Amazon got an immediate discount. Most books are fairly durable, so damage is rarely an issue. 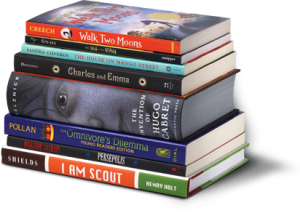 Dropship Tip: Books are small and rectangular – perfect for shipping. By selling books, you can tap into tech-savvy buyers. They understand the World Wide Web, how to use shopping carts and are more likely to be shopping online. Books are always in demand. Students will need to purchase textbooks for their classes. College and university graduates will tend to be better educated with higher incomes. Within the overall book market, there are plenty of niche specialties, like romance or mystery. Buyers of these books might like a certain author and patiently wait for the next installment. Customers return to shop again. Books are easy to “suggest.” If someone likes this author, then they might like his other book. Amazon can use computer algorithms to predict book buying patterns. And, paper books dove tail nicely into e-books. That is why Amazon invented the Kindle. Amazon can position itself as a leader in the knowledge industry because it has developed experience in selling books. Electronics used to be a luxury item, but are becoming a must-have for many consumers. Even young children are running around with the latest smart phones. Electronics can be functional, entertaining or innovative. China, Japan and South Korea are churning out electronics 24/7/365. You could offer the name brands or knock-offs. Online stores can upload more images with more electronics products to choose from, than brick-and-mortar stores. You can offer lower prices too. Provide personalized customer service to explain how the products work. Electronics tend to be more expensive, so you can enjoy higher profit margins. You can justify spending more time answering customer questions when you complete these big-ticket sales. Holiday sales for electronics can also be quite lucrative. People love to get the latest electronics in large boxes with wrapping and a colourful bow. 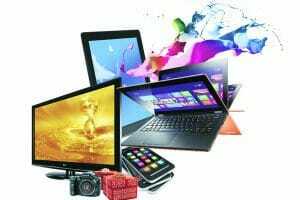 Large-screen televisions, radios, cameras, laptops and smart phones offer hours of entertainment for the entire family. Electronics are very popular dropshipped items in Ausralia. Everyone needs clothing. Men need rugged work overalls. Women want to stay current with the latest fashion. Many fashion industry trends are set in Paris. The Australian upper class might appreciate the cache of wearing Chanel or Gucci. These luxury brands are well-made and difficult to duplicate. Women might watch what the British Royals or their favorite actresses wear. This apparel becomes must-haves. A good eCommerce store can cater to wealthy clientele who wear luxury clothing brands. Or, they can cater to a wide variety of clothing needs. Clothing is a necessity, so there will always be high demand. Online stores don’t need to carry every single item in their inventory. They can offer more variety and lower prices. The e-Commerce experts can use their dropshipping software to quickly upload the latest fashion images onto their websites. In the “immediate gratification” culture, customers can get what they want, when they want it. One trouble with fashion is that people will browse brick-and-mortar stores and then go online for a cheaper price. Of course, that is a great advantage for your online store. 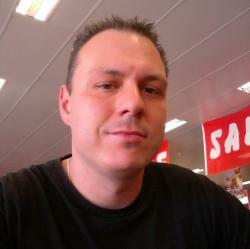 How can online store owners “capture” Web surfers, so they purchase from you? Kate Hudson’s Fabletics activewear clothing brand has created a great way to keep their customers interested, called the reverse storeroom technique. What this entails is trying to sign up customers online to clubs, where they can discuss their “Wish Lists” or receive invites to important fashion events. Dropshipping stores can keep their website content fresh with stories and images about the latest celebrity fashion trends. You could discuss the top Australian actresses and suggest apparel (that you sell) that might look good on them. Dropshipping stores can help a woman complete her wardrobe or add unique accessories. With dropshipping stores, females can find one-of-a-kind fashion items. It is no wonder that clothing is popular dropshipped items category. The top global liquor, beer and wine brands might have their own vast distribution networks. 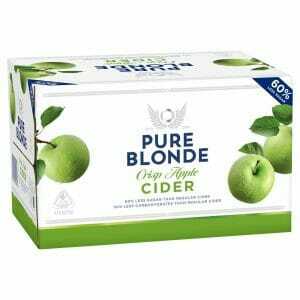 The local Australian distillers, brewers and vintners cannot really compete with them; unless, they sell their products online. Birthdays, concerts and sporting events are good times for alcohol sales. Some people feel more relaxed when they are imbibing adult beverages. They feel like they can interact better with strangers. Try a new local craft beer each month. Aussies are well-known for making good beer. If people like the beer, add it to your product line. The best alcohol can also be more expensive. This can give you better profit margins. You might also get regular customers planning for weekend parties. Health is wealth. Beauty is a way to get noticed. Health and beauty stores might include natural herbal supplements, vitamins and alternative medicine products. Some of those Old Wive’s recipes really work. Everyone has a nagging health ailment or concern that they want to improve. As people age, these increase. Natural, organic and herbal stores are rising to counteract the artificial, man-made products. For some, organic is simply another name for natural food – fresh milk from the cow or fresh vegetables from the garden. These natural foods just taste better. An estimated 85% of Australians are urban dwellers. They might want to buy fresh food from an online store. You could satisfy the demand from the health-conscious, who don’t live near farms. Dietary supplements can help people achieve their body image goals. Weight lifters and athletes are trying to increase muscles using protein supplements, vitamins and minerals. As Australians become more affluent, they are eating more junk food, full of salt, sugar and fat. Weight loss supplements are big business. Vaping enthusiasts might want to buy essential oils to blend their own concoctions. 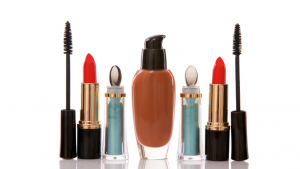 Some hypo-allergenic beauty products are better for those with sensitive skin. Chinese Traditional Medicine includes acupuncture, herbal concoctions and chi energy (life force) products. Practitioners believe that health problems might be due to physical, spiritual and emotional blockages. Chinese herbal products remove these obstacles, so the life force can flow more freely. You could also sell exotic spices. Australian mothers are watching YouTube videos and might want the ingredients for some new meals. When people get sick and traditional medicine fails them, they will look for alternatives. Doctors and hospitals can be very expensive. You could upload informative videos discussing the benefits of your health and beauty products. What was your favorite toy growing up? Can you name the closest brick-and-mortar toy store to you? Online toy stores can fill an important need. Toys and games are functional, entertaining and educational. Toys can teach girls how to care for their future babies and teach boys how to fix an automobile. Parents understand the absolutely necessary functionality of toys – they keep your child busy, so they do not start crying and wake up the neighbors. Children demand immediate gratification. Toys and games can stimulate the mind and body. Games can teach teamwork, competition, goal setting and goal achievement. Toys can teach motor skills. Educational games give children a head start. The toy market is age-specific and requires marketing to parents and children. Children must like the games, but parents purchase them. There are many reasons why you can’t find certain merchandise elsewhere. It might be old and discontinued. This could include antique car parts for a vintage Rolls-Royce. Certain items, like toys or music albums were very popular for a very short period of time. They might be instant collector’s items that could be available on eBay. These classics are timeless. 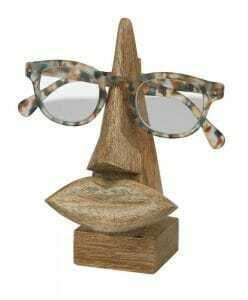 When people want gifts for those who have everything, online gift stores can be a great resource. They can list more items and help people discover what they want with product images. Sometimes, people are only going off of a memory. Tech-savvy, first adopters like to claim to own something cutting-edge. They understand how the technology works and might be able to fiddle around with it. This specialty gift customer base will tend to be smaller, but very passionate about what they want. They will also be willing to pay more for scarcity. Naturally, you will have higher demand for popular merchandise. Although, selling rare items could deliver higher profits, the demand will be less. Choose your product line carefully and provide excellent customer service to achieve dropshipping store success.